Posted: Tuesday, January 19, 2016. 11:40 am CST. 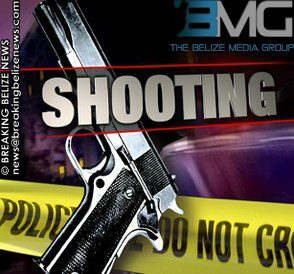 By BMG Staff: 23-year-old Arlin David Padilla of Venezuela Street in Belmopan City, has been arrested and charged for the offenses of “attempted murder”, “grievous harm” and “use of deadly means of harm” for beating, then shooting a man with a pellet gun on January 15th. Byron Deon Zuniga reported yesterday that Padilla beat him up while he socialized at a bar on Cemetery Road then shot him with the gun.